What Will Happen If Hydrogen inside Sun runs out of Hydrogen? The probability of destruction of mankind has been increasing continuously due to missile tests, people’s negligence towards environment, lack of water and trees. All the other planets of solar system gets depended on Sun. 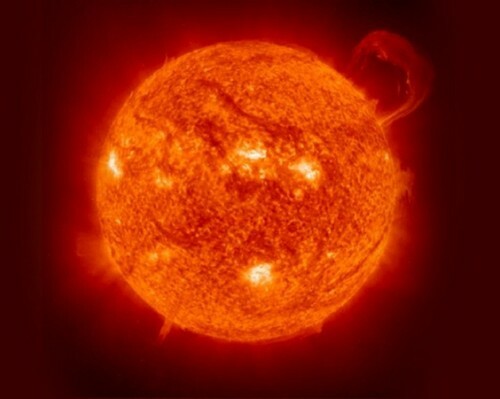 The heat of the Sun gets produced from Hydrogen which gets converted into helium and also light will be produced along with it. But if the hydrogen inside sun gets finished, the Sun will blast. All the nearby planets get destroyed if Sun blasts. This phenomenon of blast of Sun is expected to occur after 5000 million years from now.